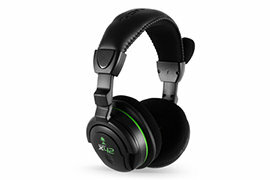 The Ear Force X42 puts you in the middle of the action with Dolby Surround Sound and a stunning 3D audio environment. Powered by a state-of-the-art 2.4/5GHz Dual-Band Wi-Fi radio, the X42 easily coexists with Wi-Fi networks and virtually eliminates wireless interference with other devices. Multiple EQ presets and variable surround sound angles let you customize audio settings for any gaming situation. Its massive 50mm speakers deliver amazing audio fidelity and bone-rattling bass, while its lightweight design and breathable mesh ear cushions provide ultimate comfort. 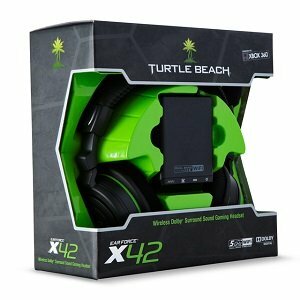 If you’re serious about gaming, then get serious about the sound. 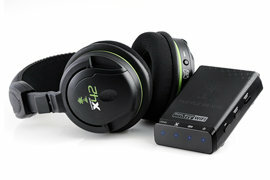 Step up to the Ear Force X42 and experience game audio like never before. Adjust the speaker angles inside your headset to ensure that your 360-degree Dolby Surround Sound audio is fine-tuned to your individual liking. 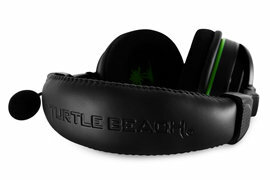 The Dolby Surround Sound produced by this headset will ensure that you hear every sound in your game with pitch-perfect 360-degree accuracy. The Ear Force X42 allows you to adjust the angle of each speaker inside the headset so you can fine tune the surround sound audio to your specific individual taste. The Dolby Surround Sound, adjustable speaker angles and Dual-Band Wi-Fi combine to give you an audio advantage in gaming like no other.